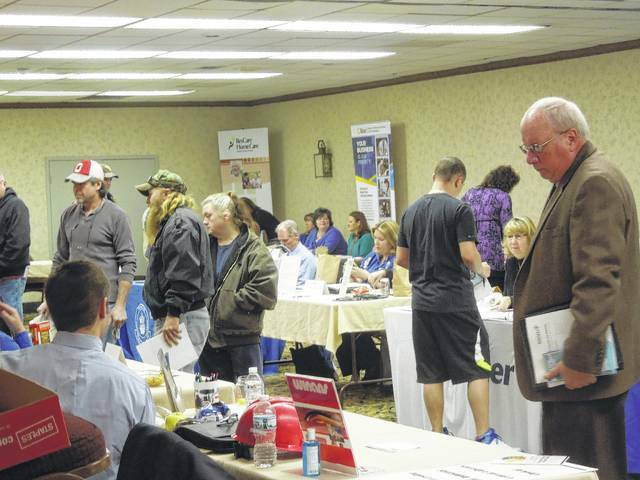 The Southeast Ohio Regional Job Fair will be returning Oct. 17. GALLIPOLIS — Gallia County OhioMeansJobs is offering employers and job seekers the opportunity to connect at the Southeast Ohio Regional Job Fair scheduled for Wednesday, October 17, 2018 from 10 a.m. to 2 p.m. at the University of Rio Grande, Lyne Center Gymnasium. Anyone who is unemployed, underemployed or looking for a career change is encouraged to attend. Employers anticipated to appear at the event include AEP Ohio, Arbors at Gallipolis, Avon, Buckeye Community Services, Buckeye Hill Career Center, Career Connections, Destiny Truck Driving Academy, Field of Hope, Gallia-Meigs Community Action, Hampton Inn Gallipolis, Health Recovery Services, Holzer Health System, Home Care Network, Kenworth, Lakin Correctional Center, Lakin Hospital, Mark Porter Autogroup, Mary Kay Consultant, McDonald’s, Mountwest Maritime Academy, Ohio Valley Bank, Ohio Valley Home Health, On-the-Go Transportation, Opportunities for Ohioans, PALS Chrysalis, Reds Truck Center, Rent-2-Own, ResCare, River Town Electric, Stateside Insurance, Tupperware by Melanier, the U.S. Army and WesBanco. OhioMeansJobs is a program sponsored by state government that assists Ohio-based businesses utilize tools to attract and hire Ohioans while also assisting residents in finding those jobs. The program reportedly offers free job search and job matching opportunities. OhioMeansJobs is often affiliated with area area Job and Family Services departments. Jobs available cover a variety of industries from finance to trucking to healthcare and more. Additional information and online registration forms for both employers and job seekers can be found by visiting www.GrowGallia.com/jobfair or contact Melissa Clark at 740-446-4612, ext. 1 271 or mclark@gallianet.net.